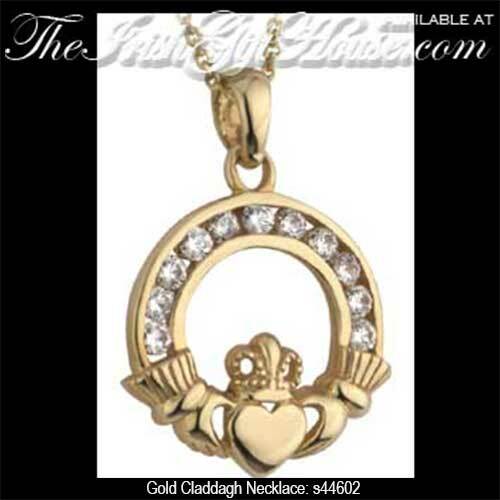 Claddagh necklace is a gold design that features channel set CZ stones. This 10K yellow gold Claddagh pendant features channel set CZ stones that are set in the ring between the cuffs. The larger Claddagh necklace measures 3/4” wide x 1" tall, including the jump ring and the chain bail, and it includes an 18" long 10K yellow gold chain.